Cookies, Crayons, Classes, & Chaos: Mrs. Powell's classroom ideas I want to use! 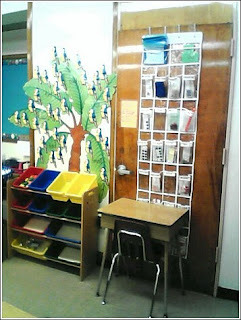 Mrs. Powell's classroom ideas I want to use! 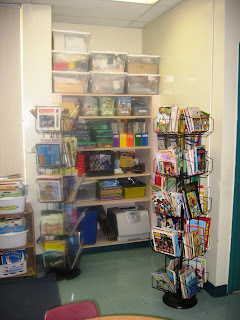 3rd Grade Teacher, Mrs. Powell, has a website full of great ideas for using materials that I want to steal as a home educator! Her ideas seem to fit well with a Montessori approach. These ideas include using centers, pair-work, providing instruction and guidance about the subject and materials and then facilitating self-guided exploration and reinforcement. I tend to prefer that for my home learners and I think they prefer it too, especially my son who wants to be in constant motion. So our house kind of looks like these rooms full of tubs, shelves, and stuff on display too! Her tips acknowledge an awareness of students with different learning styles and abilities, including ADHD, though it could certainly be expanded and updated in the "behavior management" section. She has great photos, tips, and even a book with her ideas. I'm happy to have stumbled upon it. It's given me some more ideas to add to our already large selection of "activity tubs." Her tips span the range of subjects relevant to elementary education students. I'm looking forward to exploring this site more!